6 days, 23h:58m:05s £5.00 Buy now! 0 days, 09h:09m:57s £20.00 Buy now! 20 days, 12h:47m:36s £10.00 Buy now! Olli and Lissa 0 days, 00h:40m:06s £2.55 Buy now! Super Huey II / 2 0 days, 00h:40m:31s £9.95 Buy now! H.A.T.E. / HATE 0 days, 02h:40m:54s £24.95 Buy now! Blood Money 0 days, 02h:56m:37s £13.95 Buy now! Skyhawk 0 days, 02h:57m:57s £2.95 Buy now! 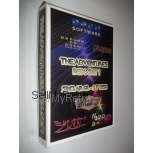 Skyhawk 0 days, 02h:58m:58s £2.95 Buy now! Myriad 0 days, 02h:58m:58s £3.95 Buy now! Galaxzions 0 days, 02h:58m:58s £7.95 Buy now! English Invaders 0 days, 02h:58m:58s £3.75 Buy now! The Catch 0 days, 02h:58m:58s £6.95 Buy now! Neutron Zapper 0 days, 02h:58m:58s £1.15 Buy now! Diagon 0 days, 03h:10m:26s £2.25 Buy now! Panik! 0 days, 03h:10m:26s £2.65 Buy now! Cops 'n' Robbers 0 days, 03h:10m:26s £2.35 Buy now! Emmet Attack 0 days, 03h:10m:26s £9.95 Buy now! Arcadia 0 days, 03h:10m:26s £1.25 Buy now! Las Vegas Video Poker 0 days, 03h:10m:26s £0.95 Buy now! Monte Carlo Casino 0 days, 03h:10m:26s £2.35 Buy now! Top Gun 0 days, 03h:10m:26s £1.25 Buy now! Transmuter 0 days, 03h:10m:26s £1.85 Buy now!